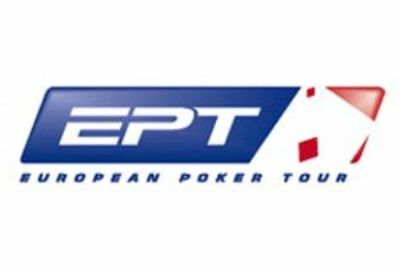 Barcelona, one of most prestigious European cities with unmatched touristic spots, is currently hosting a new stop of the European Poker Tour (EPT). Both amateur and professional poker players from the neighboring countries have made the trip to the city to part take in the festival. Held at Casino Barcelona, the 2015 EPT Barcelona schedule includes a series of enticing event. The top highlight among is the  50,000 buy-in Super High Roller. It has seduced 99 entrants, creating a total prize pool of $ 4,753,485. Interestingly enough, the eventual champion in this event would cash a whopping payday of $ 1,224,000. Of the 99-player field, 16 would return to Casino Barcelona for the next round. Erik Seidel, Dani Stern, Ole Schemion, Martin Jacobson, Philipp Gruissem, John Juanda and Adrian Mateos were among the notables who failed to get in. By knocking Mike McDonald (12th place) and Argentina's Ivan Luca out, Michael Egan takes the (chip count) lead with 5,410,000 chips heading to Day 3. By all accounts, his surge towards the title is quite a thorny challenge since Steve O'Dwuyer, Byron Kaverman, Paul Newey, JC Alvarado and Sylvain Loosli, all with extensive experience in High Stakes games, are among the survivors. Paralleling the EPT festival, may we remind you that the Main Event of the Estrellas Poker Tour is now underway. The  1,100 buy-in poker tournament has attracted a gigantic field of 984 players. After a massive elimination on Saturday, only 98 survived in the battle. It is Jose Carlos Gracia who bags up the lead with 4 million chips.